We are trying something new this year! The Kloefkorn Kilometer will take place during school hours on September 21 and is a Walk-A-Thon. The Walk-a-Thon is a 45 minute walk with the purpose of getting our kids involved in raising money for our school while doing a fun and healthy activity. Students will ask for sponsorship from friends and family to support them in this event. Our hope is that this will be our major fundraiser this year! Donations can me made online, or checks can be dropped off in the office. The school receives 100% of the proceeds from this event since there is no cost of anything being sold. It’s easy, it’s fast, and most of all, it’s healthy! Please watch for more information coming home in Friday Folders. The walk will take place on the “track” behind the school during each grades’ specials time. Parents and Grandparents are welcome to join their student(s) or just come to cheer them on. 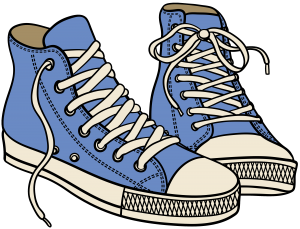 Students, staff, and guests are encouraged to wear their pajamas, though we do ask that shoes, not slippers, be worn during the walk. When you finish, the system emails pledge requests to your family and friends and allows them to make secure credit card donations online. You get notified each time a pledge is made, and you can track your pledge progress online. Need an extra incentive? Check out the prizes offered to students raising money.